We broke the news yesterday that the R2-D2 Droid 2 had seen a price drop to $199 and this morning, Verizon started telling the rest of world about it. 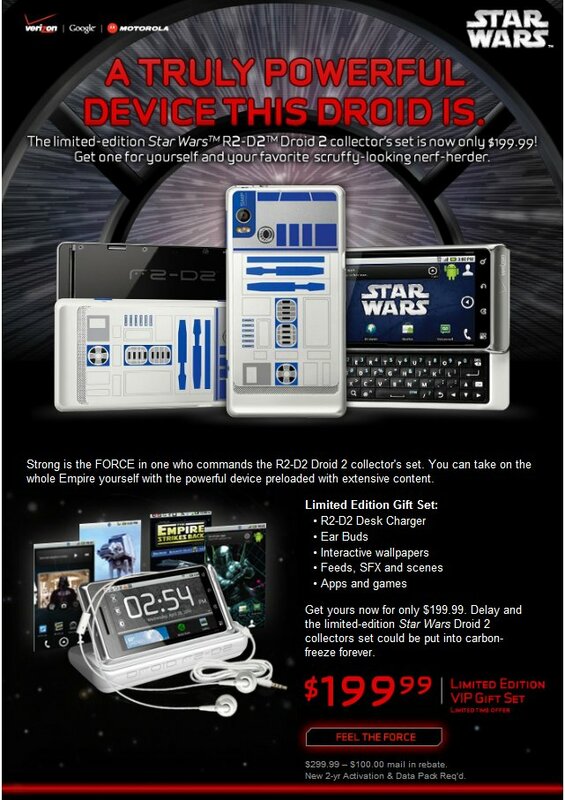 Anyone on the VZW DROID email list should have received this email some time today to try to get them to buy this limited edition Droid. They even made it sound like the device would be sold as a “gift set” that includes a desk charger, ear buds and more, when we all know that stuff came with it from the beginning. Drop that bad boy to $99 and I may think about it. Cheers Aaron and all others!